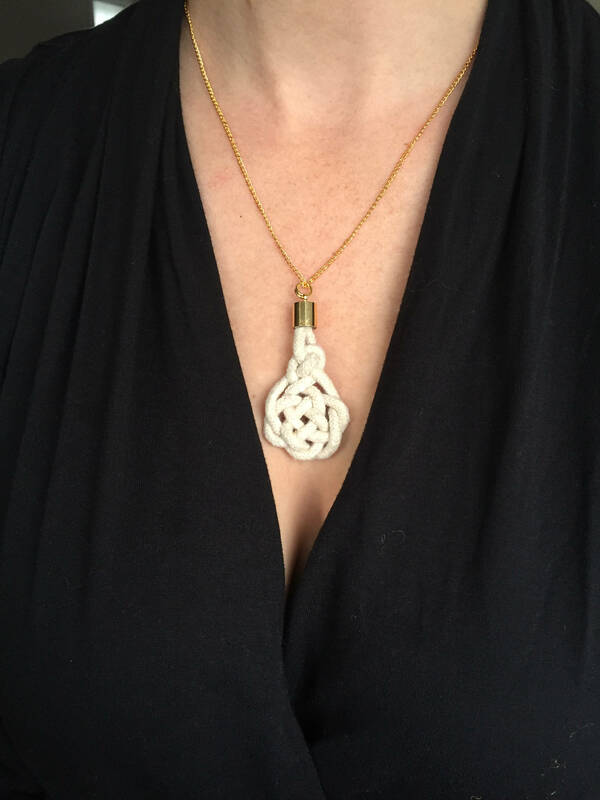 The Genie Pendant Necklace is a piece of handmade art with the intricate knot work. The delicate chain seamlessly takes the necklace from day wear to evening wear with the change of a top! 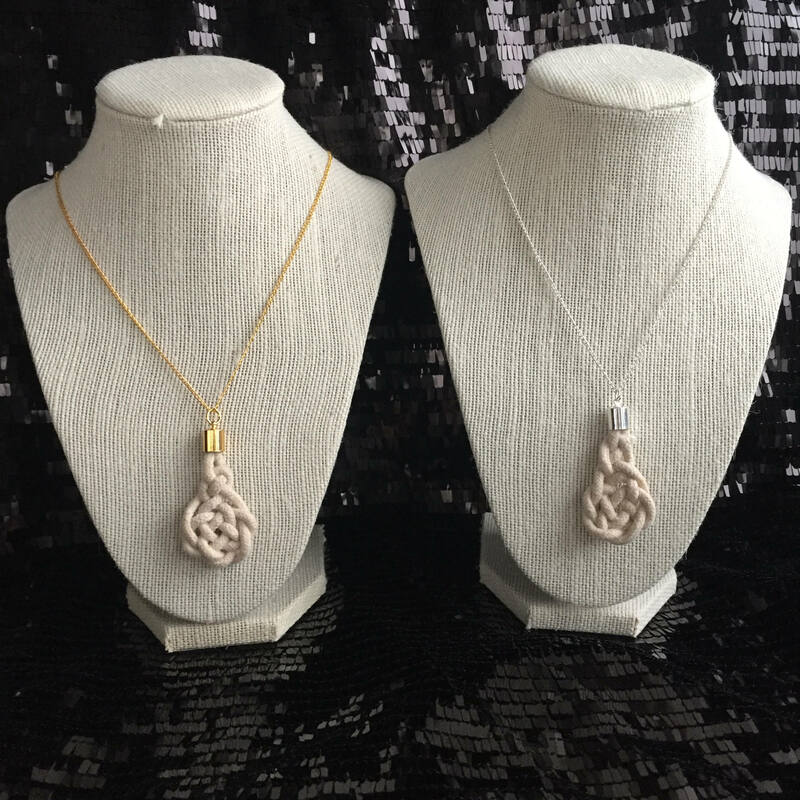 The length of the necklace including the pendant is approximately 12.5 inches long. 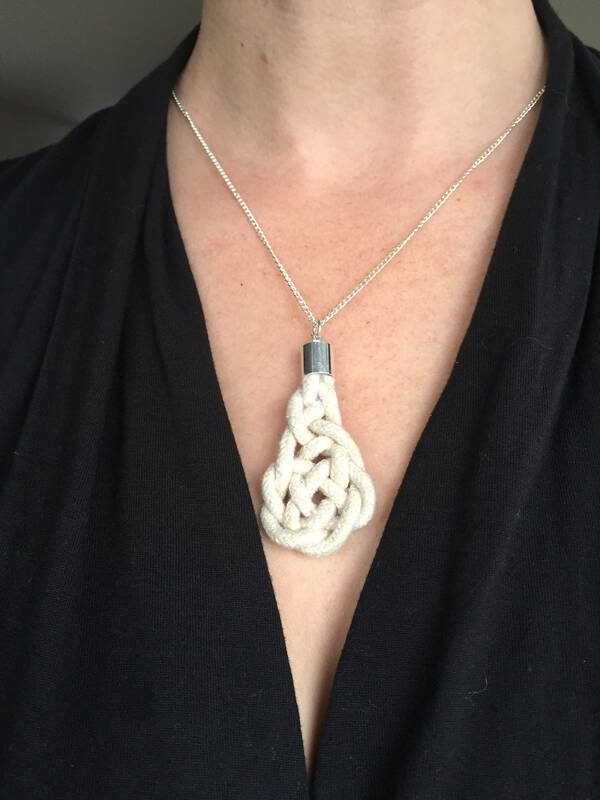 The length of the pendant is approximately 2.25 inches long.